So I just started a new hobby and I'm hoping I don't die under the weight of all these figures that I may buy. X-Wing Miniatures (XMG) has been around for a long time and started with just the Original Trilogy ships (X-Wings, TIE Fighters, etc). As the Star Wars world has expanded and contracted, some ships were not "canon" but it's kind of using the Legacy universe to add new ships but it's also added ships from The Force Awakens, Rogue One and Star Wars; Rebels/Clone Wars. The game is pretty easy to learn and there's not extensive rules books that you have to read before you move (unlike other miniatures games). 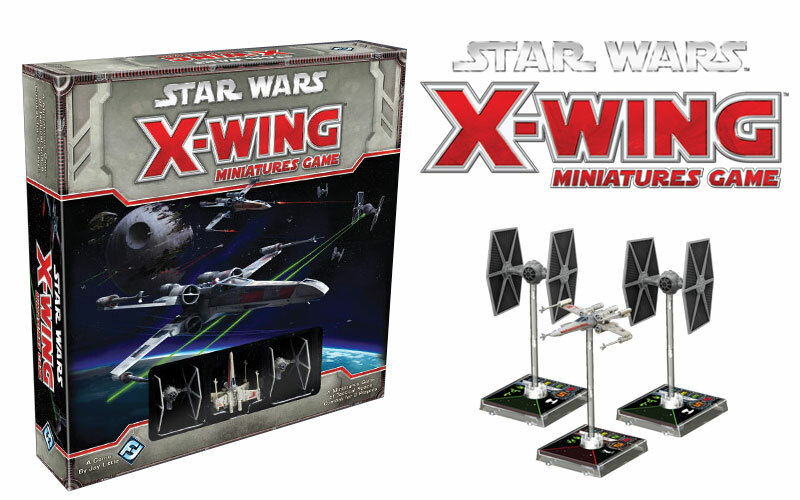 What's great about the game is for $25-40 you can find a core set that will come with a new X-Wing and two TIE FIghters (First Order). These ships come from The Force Awakens along with upgraded damage cards and movement pieces. So far I've played only a few games (losing all of them) and it's been really fun. You build a battlefield and fly around asteroids trying to shoot at each other. The game allows for more complexity if you are really interested in "meta building" which would focus on giving super actions or stacking talents that give more movement. So far I'm sticking to more thematic builds like a Death Star Trench Run with Wedge, Biggs and Luke. Well you and Tony have got me interested.. I bought the OG starter kit.. and have had a couple of deliveries since. and the Scum and Villiany faction..
No idea how to play.. lol. Once you play like 2 times, it's a really easy game to play. You sign up and enter in the collections/expansions you own and how many and it keeps track of what ships you can build for a 100-point system. This is a intro to the game that explains it's core set. You can make it as complex as you'd like based upon the pilots and upgrades you add. @aureus is a great host too. I'm in! X-Wing miniatures Saturday, Seahawks Sunday. Sounds like a weekend!